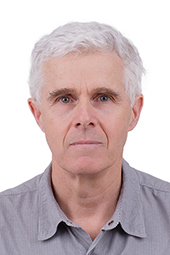 Dr. Mike Allard is Vice-Dean, Health Engagement and Professor of the Department of Pathology and Laboratory Medicine at the University of British Columbia (UBC) Faculty of Medicine, and a Principal Investigator in the James Hogg Research Centre and Cardiovascular Pathologist at St. Paul’s Hospital. Dr. Allard was born and raised in sunny Vancouver and attended UBC where he obtained a BSc in Biology in 1978 and an MD in 1981. Following a Rotating Internship at St. Michael’s Hospital in Toronto, he returned to UBC for a residency in anatomic pathology that included a research fellowship in the UBC Pulmonary Research Laboratory. He then undertook a cardiovascular research fellowship at the University of Alabama at Birmingham, returning to Vancouver in 1990. His research has focused primarily on adaptation of the heart to exercise and hypertension and he remains actively involved in educational programs at UBC. Away from work, he is married with two adult children and lives in Vancouver. He commutes to work on his bike whenever possible, is an avid year-round recreational hockey player, and has a passion for travel. 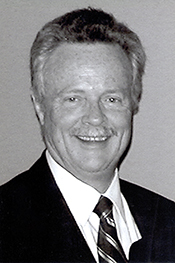 Dr. Bob Cheyne began his professional career as a Full Service Family Practitioner in 1979. His practice included Obstetrics, Emergency Medicine, Surgical assists, Peace Arch Hospital privileges, and a broad serving patient-based office in White Rock/South Surrey. Additionally, Dr. Cheyne held multiple Department Head positions for most of the years between 1979 and 2018. 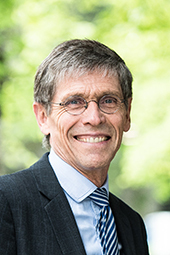 He has held many Board positions and have chaired various committees, including: Peace Arch Hospital Foundation (PADH), Doctors of BC, UBC Medical Alumni Association as President, Residential Care Director, WorkSafe negotiating team, as well as many working groups at PADH. He was the Divisions Founding Member and was awarded an Honorary Canadian Medical Association Membership in 2016. Outside of his practice, Dr. Cheyne was the team doctor for the Surrey Eagles Hockey Association for 27 years and was a volunteer ‘ski doc’ at Blackcomb Mountain for 22 years. Dr. Cheyne has balanced his professional life with many sport interests and different hobbies, including hockey, tennis, and golf, and skis weekends with his wife and growing family. Dr. Cheyne plans to continue teaching medical students and hopes to pursue learning opportunities in medicine to remain informed and personally challenged. Dr. Hamed Umedaly is a Consultant Anesthesiologist with Vancouver Coastal Health, the Head of the Department of Anesthesiology for Vancouver Acute, and Clinical Professor at the University of British Columbia, Department of Anesthesia. Dr. Umedaly studied medicine at the University of British Columbia (UBC). He practiced Rural General Practice for three years. He then joined the UBC Anesthesiology Residency Program for 5 years and subsequently trained in Cardiothoracic Anesthesiology & Pain Medicine at the Royal North Shore Hospital in Sydney, Australia. 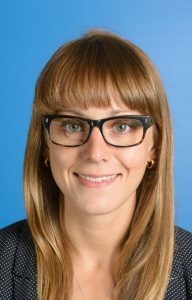 Dr. Umedaly is an educator, clinician, and researcher, and has been awarded the UBC Anesthesia Residency Master Teacher award on two occasions, the Professional Association of Residents of British Columbia Patti Aiyston Teaching award, and the VGH Clinical Excellence award. He was a Royal College of Physicians and Surgeons of Canada examiner for 6 years. His current clinical interests include cardiac anesthesia, cardiac surgical ICU, thoracic anesthesia, and perioperative pain management. Dr. James Boyle completed his B.Sc. in honours physiology, followed by his MD degree at UBC. He interned in Montreal, and then did General Practice in Sechelt B.C. After a Residency in Plastic Surgery, and then a Fellowship in Britain, he returned to Vancouver to practice Plastic Surgery. He was the Director of the Provincial Burn Unit from 1987 to 2007. His current practice includes burn reconstruction, hand surgery, and peripheral nerve surgery. He is a Fellow of the Royal College of Physicians and Surgeons of Canada and a Clinical Professor of Surgery at UBC. After joining the UBC MAA Board in 2015, Dr. Boyle was elected Treasurer in 2018. 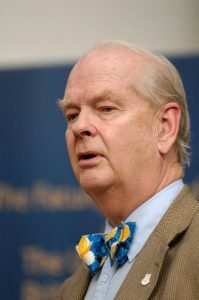 Dr. John Edworthy grew up in New Westminster, receiving a Bachelor of Science in Physiology from UBC in 1974, followed by a MD Degree from UBC Faculty of Medicine in 1977. 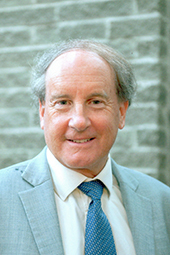 He obtained his Certification in the College of Family Physicians of Canada in 1983 and was the recipient of the Fellowship in the College of Family Physicians of Canada in 1994. In addition, he served as President of the BC College of Family Physicians. Dr. Edworthy has been a faculty member of the UBC Department of Family Practice since 1997, working in the area of faculty development. Since 2008, Dr. Edworthy has been the Site Director for the Vancouver Fraser Family Practice Residency Program. Dr. Sara Waters completed her B.Sc. in biology at the University of Victoria, followed by her MD degree at UBC’s Island Medical Program. After graduating from the program in 2009, Dr. Waters went on to complete her five-year anaesthesiology residency program with UBC. Dr. 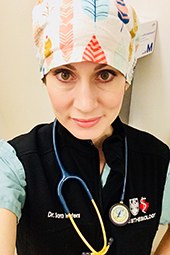 Waters currently practices as a consultant anesthesiologist at the Royal Jubilee and Victoria General Hospitals in Victoria and is a Clinical Instructor with UBC’s Faculty of Medicine. Dr. Waters has previously worked a Clinical Associate in the Intensive Care Unit at Vancouver General and Richmond General Hospitals. 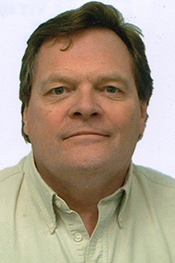 Dr. Daryl Leiski obtained his B.Sc in Kinesiology at Simon Fraser University in 1989. He worked for 3 years in Ottawa and Houston, Texas as a research scientist with the Canadian Astronaut Program. In 1992, he changed career paths and entered medical school at UBC. Graduating in 1996, he completed his family medicine residency in 1998 as the second group of family practice residents through the Northern Medical Program in Prince George. Following graduation, he worked briefly as a family doctor before changing directions and working full time in Emergency Medicine. He started his ER career in Prince George and then moved through Comox, Victoria, Surrey, and is now currently back in Prince George. Moving back to Northern BC has allowed him to continue working in the ER, teaching, and opening an urgent care centre. In the last couple years, Dr. Leiski has finally followed his 25 year dream (pre-medicine) and opened a very busy craft brewery in Prince George. It takes up some of his time, but he still enjoys racing cars, spending time with his family, and travelling. He is married with 6 children, 4 of which are currently attending university with the 5th joining the university ranks next year. His oldest daughter has given him 3 lovely grandchildren. He jokingly realizes that having 5 kids in university will put him well into the freedom 75 plan. Dr. Kinahan is a Canadian Royal College Fellow and Diplomate of the American Board of Urology. A practicing Urologist in Kelowna since 1991, Dr. Kinahan has a number of publications to his name and has been Chief of Surgery at Kelowna General Hospital. He has special experience in laparoscopic surgery, also known as Minimal Access Surgery, and performed the first laparoscopic nephrectomy in British Columbia in 1992. Dr. Kinahan enjoys skiing on his time off and spending time with his family. 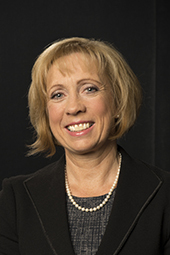 Until April 2017, Dr. Jan Christilaw served as President of BC Women’s Hospital + Health Centre, and Vice President, Provincial Women’s & Newborn Health, Provincial Health Services Authority. Since stepping down, she has continued her clinical work as a Clinical Professor in the Faculty of Medicine at UBC. She also serves as Director of Women’s Health with the Canadian Network for International Surgery, providing capacity building and skills training in several countries. Dr. Christilaw has spent her career advancing women’s health in British Columbia. Her 25+ years of accomplishments include: President, Society of Obstetrics-Gynecologists Canada; Expert Advisor, Canadian Institute for Health Information for Maternity; UBC Clinical Professor, Editorial Board of JOGC, and Chair, BC Consensus Panel on Cesarean Birth. During her long career, she has delivered thousands of babies in British Columbia and worked as a full service community Obstetrician-gynecologist in White Rock-South Surrey for over 20 years. In recent years, she has been awarded the YWCA Women of Distinction Award in the Health and Wellness category, the British Columbia Community Service Award, the Queen’s Diamond Jubilee medal, Waterloo University Distinguished Alumni Award, the National Leadership Award of the Federation of Medical Women, the Canadian International Surgery Volunteer of the Year award, and the UBC MAA Honorary Medical Alumnus Award in 2016. Most recently, as of January 1, 2017, she was appointed to the Order of Canada for her work in obstetrics nationally and internationally. 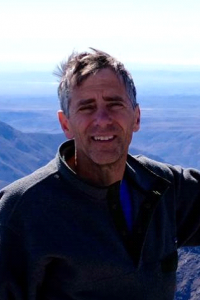 After graduating from University of British Columbia in 1978 with a degree in medicine and interning in Montreal, Dr. Chercover did locums for 3 years in the Fraser Valley and the Northwest coast of BC. During that time, he repeatedly bumped into Dr. David Hardwick, a fellow UBC alumnus and MAA Board Director, who advised him to consider pathology. After four years as a resident at Vancouver General Hospital (VGH) and UBC Hospital, and a year in the VGH Department of Hematopathology, Dr. Chercover became a Fellow of the Royal College of Physicians of Canada in both Anatomical Pathology and Clinical Pathology. Since then, Dr. Chercover has been a staff member at Lions Gate Hospital, where he happily does mostly surgical pathology. 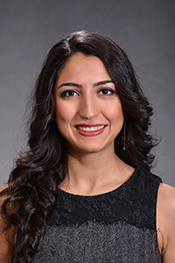 Dr. Maryam Eslami is a first year Ophthalmology resident at the University of British Columbia (UBC). She obtained her MD in 2018 from UBC. Prior to medicine, she studied biomechanical engineering at Sharif University of Technology in Tehran and was the president of the Mechanical Engineering Undergraduate Student Council. Prior to immigrating to Canada in 2011, she was recognized by Iran’s National Elite Foundation for her extraordinary academic achievements. Outside of clinical practice, Dr. Eslami is particularly interested in mentorship and curriculum development for medical education. She also enjoys a variety of sports and outdoors activities. 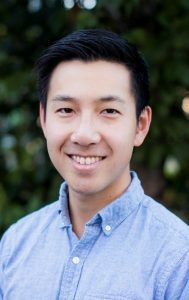 Dr. Bryan Chow is a fifth-year Psychiatry resident at the University of British Columba. He obtained his MD from UBC in 2014 and been training with the UBC Psychiatry program since. He has begun a subspecialty training in the UBC Geriatric Psychiatry Fellowship program and has also completed the Addiction Medicine Fellowship with the British Columbia Centre for Substance Use. He hopes to integrate his training in older adult mental health and substance use into his future clinical work and research. Outside of psychiatry, Dr. Chow has taken a particular interest in resident leadership and education, and he has had opportunities to become involved in multiple roles throughout his training. He is also an avid runner and cyclist, who enjoys spending time outdoors whenever he can. 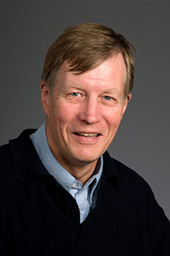 Dr. David Jones was born in Vancouver and completed his Bachelor of Science in microbiology, followed by his MD degree at the University of British Columbia. Afterwards, he interned in California. Dr. Jones started his family practice in Marpole, Vancouver and moved to Burnaby in 1975. He has be involved in sports medicine throughout his career, providing care to amateur lacrosse, hockey, and fastball teams, as well as the Vancouver Canadians AAA baseball team between 1978 and 1992. Dr. Jones was Medical Director at Burnaby General Hospital from 2008 to 2014. He continues to be an active member of the UBC Medical Alumni Association, including serving as President between 2004 and 2006 and supporting the Medical Alumni & Friends Golf Tournament. Dr. Jones was extensively involved in the BC Medical Association (BCMA), now Doctors of BC, including the BC Medical Journal editorial board, Audit and finance Committee, Communications committee, and as president in 1987-88. Through the BCMA, his notable achievements include successfully advocating for mandatory car seat-use for children under the age of 6 in British Columbia, mandatory bicycle helmets for riders in BC, and helping in the BCMA/Canadian Medical Association process to have inflight smoking banned in Canada. Dr. Maryam Zeineddin is a family practice physician and the chair of Zili, a not for profit organization that promotes and supports preventative health initiatives in Canada and across the globe. Dr. Zeineddin was born in Tehran, Iran and lived in Athens, London, and Stockholm prior to moving to Vancouver. After earning her BSc. in honours physiology, she volunteered in Honduras with the Canadian Development Agency at a children’s hospital, inspiring her to become a physician. She later completed her MD degree at UBC and opened a full service medical centre in Vancouver. 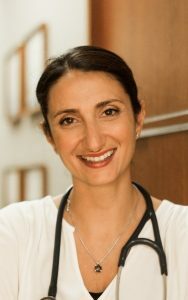 In addition to her work as a family physician and chair of Zili, Dr. Zeineddin is a clinical instructor for UBC Department of Family Practice and Board Director of the BC College of Family Physicians. She is married with two children and enjoys skiing, biking, playing tennis, and socializing with friends and family. Dr. Deborah Money is the Executive-Vice Dean at the UBC Faculty of Medicine. Dr. Money is a distinguished member of the medical community as an alumna, Professor in the Department of Obstetrics and Gynecology, associate member in the Department of Medicine and the School of Population and Public Health, and active clinician and researcher in Reproductive Infectious Diseases. She trained with a BSc in Microbiology, then completed her MD followed by her residency in Obstetrics and Gynecology at UBC and a Fellowship in Infectious Diseases at the University of Washington. She is a leader in prevention of HPV associated cancer in women living with HIV, prevention of perinatal transmission of HIV, and the study of the vaginal microbiome in health and disease. She has published more than 180 peer reviewed publications and has received more than $24M in peer reviewed funding. She is the past Vice President, Research at BC Women’s Hospital and Health Centre, Provincial Health Services Authority, and past President of the Infectious Diseases Society of Obstetrics & Gynecology (US). Dr. Money is actively involved in teaching and established the first fellowships in Infectious Diseases for Obstetrician/Gynecologists in Canada. Dr. Gurdeep Parhar is the Executive Associate Dean, Clinical Partnerships and Professionalism at the UBC Faculty of Medicine. Dr. Parhar provides strategic coordination and leadership between the Faculty of Medicine and the Health Authorities. His clinical practice in Vancouver Coastal Health and in Fraser Health focuses on immigrants, refugees, workers’ health and patients with severe disabilities. He teaches extensively in undergraduate and postgraduate programs on the topics of professionalism, equity, cultural safety, psychosocial aspects of healthcare, and medical disabilities. Dr. Parhar is currently the principal investigator on several educational innovation grants employing interprofessional models to address issues important to underserved populations, particularly Indigenous Peoples. Dr. Nicholas Monfries is currently in the third year of his residency program at the University of British Columbia, specializing in Emergency Medicine. He previously studied Biological Sciences at the University of Alberta and completed medical school at the University of Calgary. 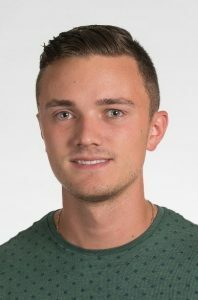 His current research interests are within the field of Pediatric Emergency Medicine and he will be pursuing a fellowship in Pediatric Emergency Medicine at the University of Calgary next year. Outside of clinical practice, Dr. Monfries serves as the President of the Resident Doctors of BC, an active Board Director of the Resident Doctors of Canada, as well as being involved in a number of medical education initiatives and committees. 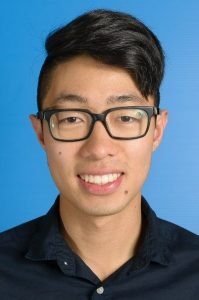 John Liu is currently a 3rd year medical student at UBC and is the President of the Medical Undergraduate Society (MUS) for the 2018-2019 year. As President, John sets the direction for the MUS Council, as well as represents the MUS at various levels within the faculty and to external stakeholders. John’s specific interests this year involve continuing advocacy efforts for unmatched Canadian Medical Graduates. In his spare time, John enjoys videography, hiking, and exploring Vancouver for hidden coffee shops. 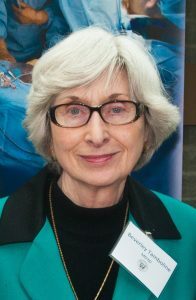 Dr. Beverley Tamboline was the President of the UBC Medical Alumni Association from 2000 to 2003. Since 2001, she has been the UBC MAA Newsletter Editor and she continues to serve in this role. Dr. Tamboline has received many accolades, including a Canadian Medical Association Award in 2000 and the Doctors of BC Silver Medal of Service award in 2011. In 2017-18, she received the alumni UBC 100 Alumni Builder Award for her many contributions to UBC, the Faculty of Medicine, Museum of Anthropology, and her long record of community involvement. 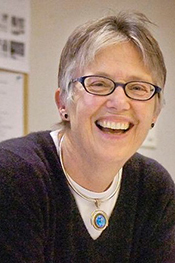 Dr. Penny Ballem received her MD Degree from UBC in 1978. She was the winner of both the Hamber and the Horner Gold medals upon her graduation from Medicine. She went on to receive her fellowship in Clinical Hematology from UBC in 1983. Dr. Ballem has had a diverse career as an academic clinician in the UBC Department of Medicine, providing patient care, and doing clinical research at both St Paul’s Hospital and BC Women’s Hospital and Health Centre over the last 35 years. Since the start of her career, she has served in numerous senior health leadership positions including 6 years as Deputy Minister of Health for the Province of BC and 7 years as the City Manager of the City of Vancouver. 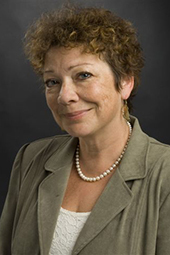 Dr. Ballem is an elected Fellow of the Canadian Academy of Health Sciences and the winner of several awards including the Queen’s Golden Jubilee Medal for Public Service, the 2012 UBC MAA Wallace Wilson Leadership Award, and the Marion Powell Award for leadership in women’s Health. Dr. Ballem is currently providing advice to government’s across the country and internationally on various health policy issues. She continues to practice on a reduced scale, seeing ambulatory hematology patients. Dr. Arun Garg is a Consultant Medical Biochemistry at Fraser Health‘s Department of Laboratory Medicine and Pathology. His interests and extensive experience allows him to have global practice and engagement. He has served as Program Medical Director for Fraser Health Regional Department of Laboratory Medicine for 20 years and Division Head of Medical Biochemistry for over 30 years. 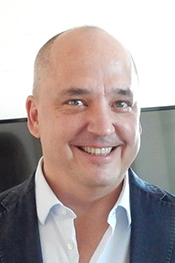 He is also Clinical Professor and Director of Cooperation and Engagement in the Office of Global Medicine of Pathology in the Department of Pathology of the Faculty of Medicine, University of British Columbia. 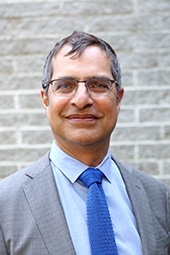 Dr. Garg is also Clinical Service Adjunct Professor at the Faculty of Health Sciences, Simon Fraser University. Dr. Garg was a founding member of the Canadian Physicians with Interest in South Asia of BC and Canadian Association of Physicians of Indian Heritage. 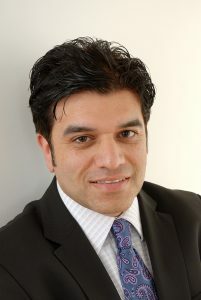 In 2010, Dr. Garg co co-founded the Canada India Network Society and co-chaired first Canada India Networking Initiative 2010 to bring awareness to the issue of cardiovascular disease in the South Asian population. Dr. Garg has been active in many voluntary organizations, including as board member, board chair, and president of the British Columbia Medical Association (BCMA), now Doctors of BC, and board member of the Canadian Medical Association. 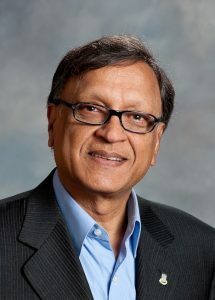 He has been recognized and awarded numerous honors and awards, including the Queen Elizabeth II Diamond Jubilee Medal, Canadian Association of Physicians of Indian Heritage Lifetime Achievement Award, the first foundational recipient of the BCMA’s Dr. Don Rix Leadership Award, and the first Community Award of Drishti magazine as a leader in health services. Dr. David Hardwick’s career is focused in the field of pediatric pathology. He has worked at UBC for more than sixty years and was awarded an honourary law degree in recognition for his commitment to the principles of academic freedom. He contributed to the visionary team of BC Children’s Hospital and BC Women’s Hospital by bringing various medical and lay teams together. He also advocated and fundraised for a congregating site for medical students and alumni, where activities and events could be hosted, now the current Medical Student and Alumni Centres (MSAC). Jenna Erwin is in her 2nd year of medical school in the Island Medical Program at UBC. She completed her Bachelor of Science degree in Biochemistry at the University of Victoria and was excited to once again return to the Island. As the IMP Site Lead, her main jobs include managing the Medical Undergraduate Society’s budget for the IMP and helping to support the interconnectivity between the four years of students at the IMP with each other and with the other sites of the UBC Medical Program. In her position, Jenna also represents the interests of the IMP on several committees and works with the faculty and MUS to ensure students on the Island have the best possible experience. She is excited to get to know her fellow classmates and faculty even better over the next year. Nick Brochez is originally from Burns Lake in northern BC, where he grew up on a hobby farm. 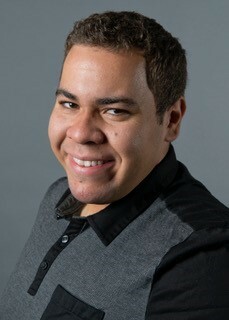 He completed a Bachelor of Health Sciences degree at the University of Northern British Columbia in Prince George and was ecstatic to hear he would be returning as part of the Northern Medical Program (NMP) at UBC. Nick’s role as the NMP Site Lead mainly involves managing the Medical Undergraduate Society’s (MUS) budget for all four years at the NMP, as well as liaising with various faculty members, MUS, and committees such as the UBC Medical Alumni Association and the By-Laws Committee. The most important part of his work is supporting students through their medical adventures, whether it is helping to create an intramural team, providing funding for shadowing and extracurricular activities, or helping plan social events. Nick’s goal is to help every NMP’er call the NMP their home and facilitate relations between different years in Prince George as well as the other sites. 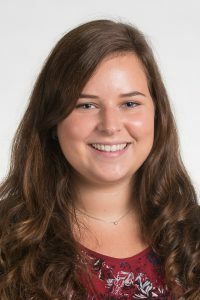 Rosie Mazzola is a 3rd year medical student in the Southern Medical Program (SMP) at the University of British Columbia and is serving her second term as Site Lead to the SMP. In this position, Rosie represents the interests of SMP students to faculty members, community stakeholders and several MUS sub-committees. Rosie is also responsible for managing the MUS budget on behalf of the SMP and for ensuring inter-year connectivity. Her major accomplishment as Site Lead in 2017-2018 was the overhaul of the MUS constitution to promote a more efficient and accountable leadership structure within each distributed site’s MUS council. This year, Rosie aims to ensure the voice of SMP is well represented at key UBC leadership meetings. Outside of medicine, Rosie is an avid traveler and hiker, with her most recent trip taking her through Utah, Arizona, and California, where she hiked in eight national parks.